Here's one that shouldn't be too hard so long as you note the feature that doesn't seem to have been widely recorded photographically. I take it, Mike, you mean the front end ?? Apparently one MH.52 was powered by a Mathis 7-cyl radial with three-blade prop ? Exactly. I know of only three photos of the MH.52 with the singularly unsuccessful Mathis radial upfront. But enough of this gallic intrigue. Let's go over to Ecosse for the next mystery. Which, obviously, did not originate in Ecosse! I thought this would have been away long before now. The headgear of the chaps on the right should surely indicate which country is involved ? The horizontal tail looks like the Blanchard/Farman in an earlier post. I couldn't find anything like it in my French info. You are on the right track, Chris. It will not surprise anyone to learn that it has at least two designations, and that, according to one's source, there were either one or two constructed ! At last ! Yes, aka the Blanchard-Blériot C.1 in some sources, although I think the BB.1 is correct. In the book “L’envol du XXe siècle” (DOCAVIA) there is a small paragraph on the 101 (as a predecessor of the 118). It had 2 engines. Your two Blanchard C1 are also mentioned. Should be a easy one as another of same mfg was on here. Yes, it is very distinctive, the Fernic T-10. George Fernic lost his life piloting this machine. The larger T-9 was one I have been mildly fascinated with over the years. Yes I knew wouldn't last long over to you. This one has two wings as well, just not in tandem arrangement. Would that be the Travel Air 'Ted Wells Special' ? Not a Travel Air Mike. This one was several years earlier than that. Last edited by Moses03; February 16th, 2019 at 02:41. 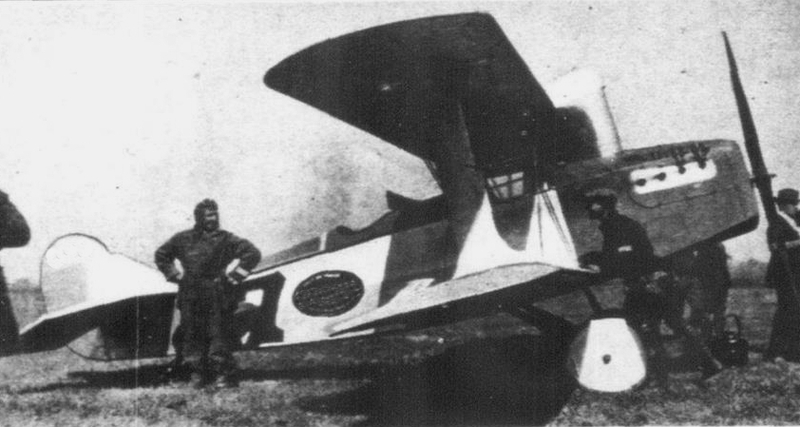 I think this is the Hartzell FC-2. That is the one Robert. (My next clue was going to be it was built by a company more known for designing props). Too difficult or too easy? Quite a few of this trainer were built, used from the Air Force as well as from the Navy in its country. From Europe, the insignia bear the colours red, blue and white (not necessarily in this order). Finally, it is the Romano. Hadn't thought that this bird would last so long.